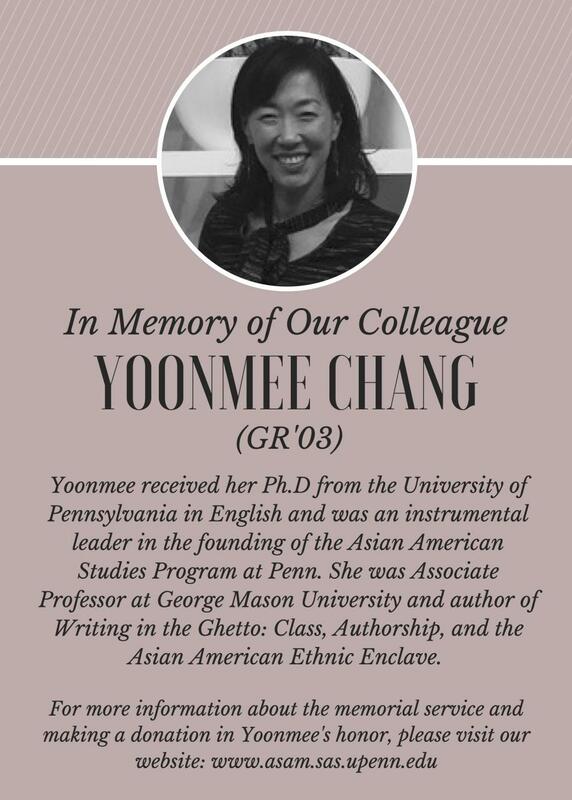 "Beyond the Culture Ghetto: Asian American Class Critique and the Ethnographic Bildungsroman"
Yoonmee Chang (November 2, 1970 – January 18, 2018) was born in Seoul, South Korea, and received her Ph.D. from the University of Pennsylvania with a specialization in Asian American diasporic literature and culture. She was an Associate Professor of English at George Mason University from 2005 until her death, and was previously an Assistant Professor of English and American Studies at Indiana University. She is the author of Writing the Ghetto: Class, Authorship, and the Asian American Ethnic Enclave (Rutgers University Press, 2010). Chang also did research in Disability Studies and wrote poetry. At the time of her death at age 48, she was writing a book on the zainichi, Koreans in Japan from the colonial period and their descendants.